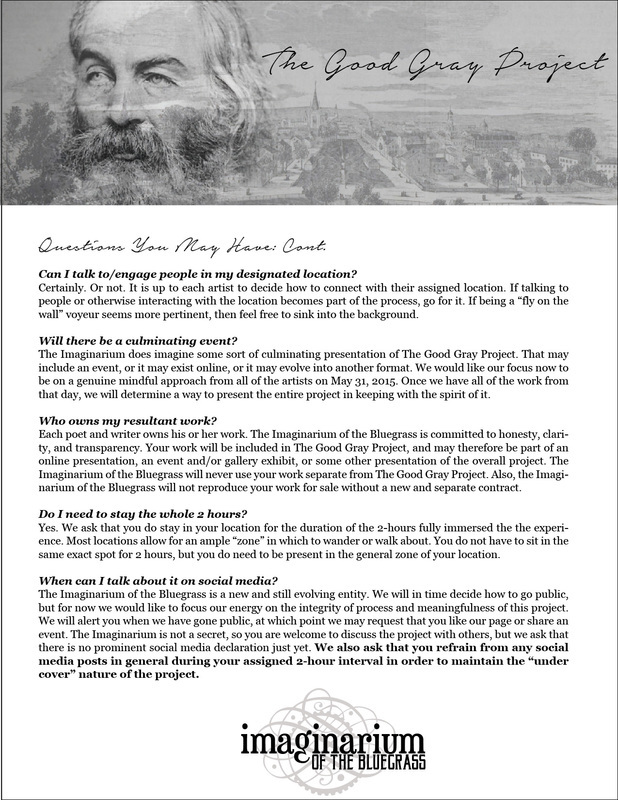 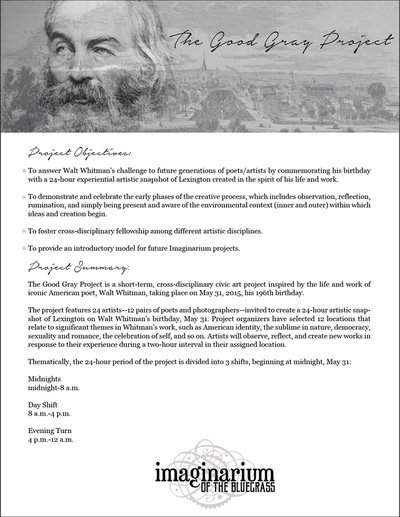 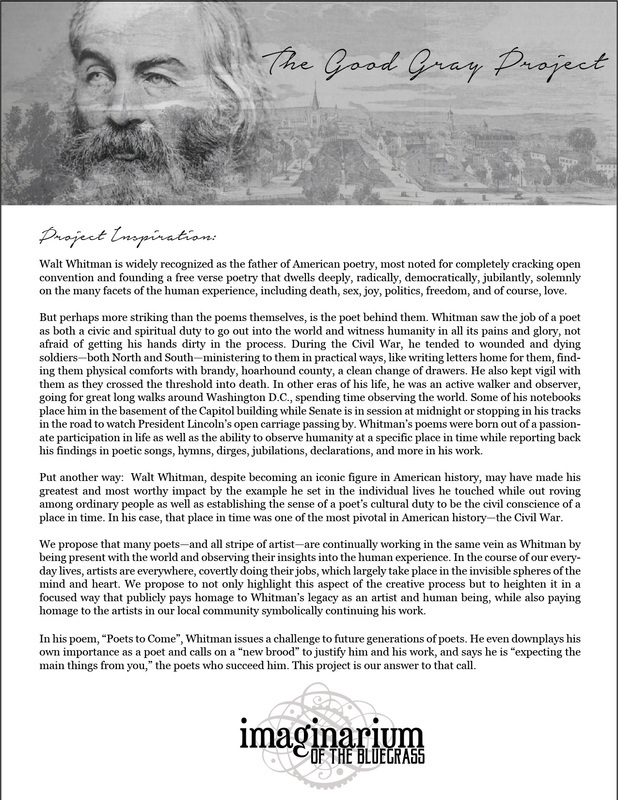 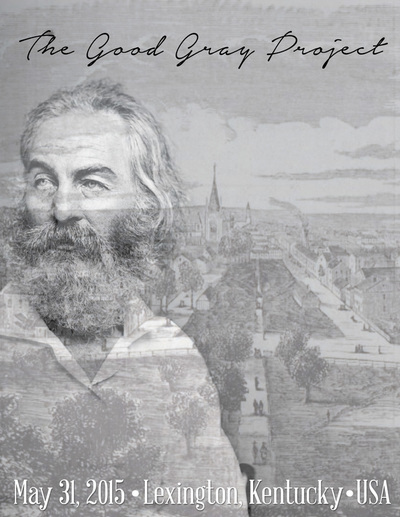 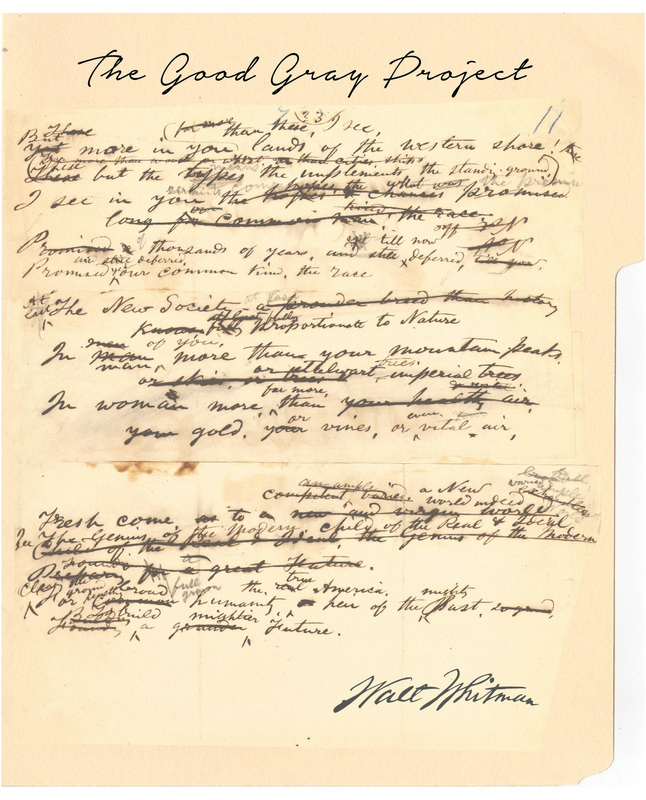 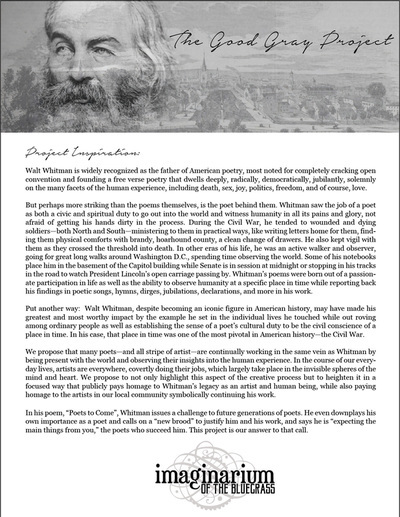 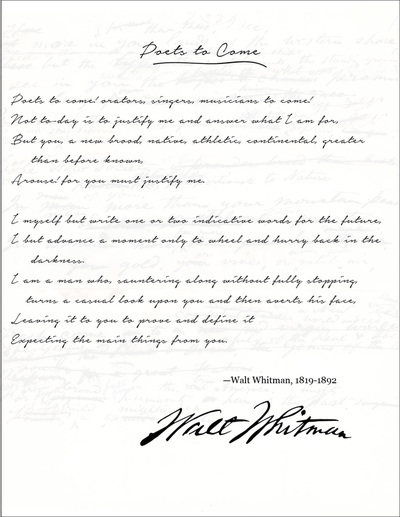 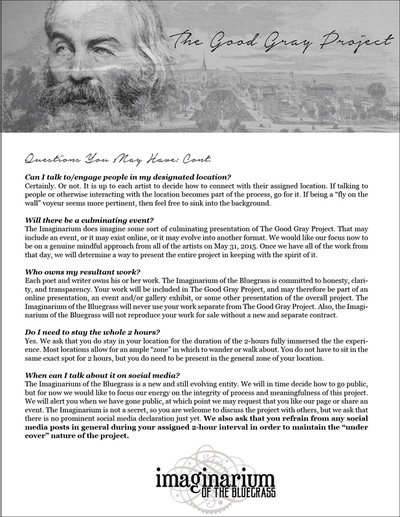 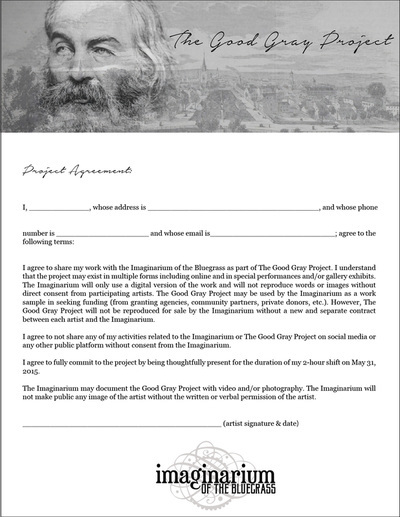 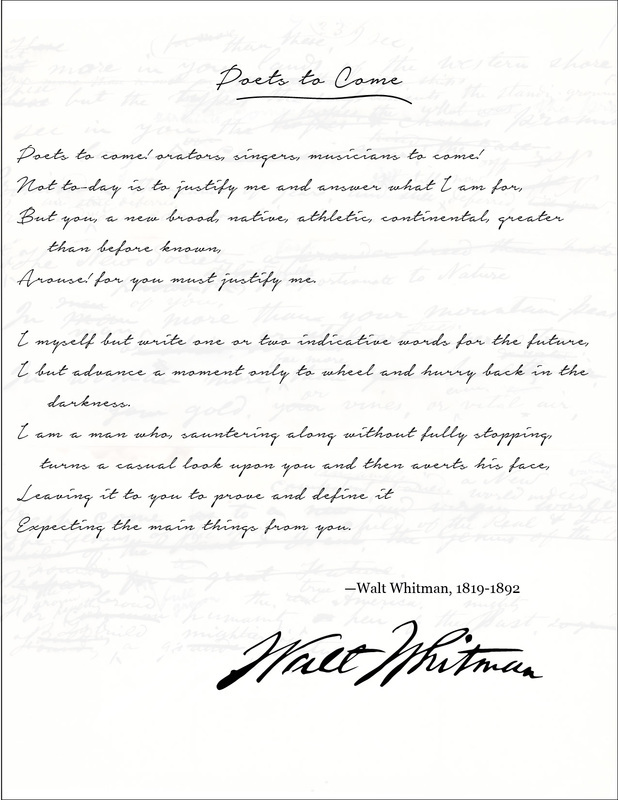 Taking place on the Walt Whitman's Birthday, The Good Gray Project challenged artists and writers to be inspired by the works of the Good Gray poet. 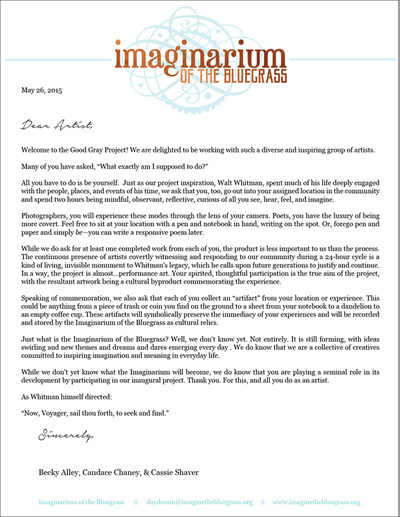 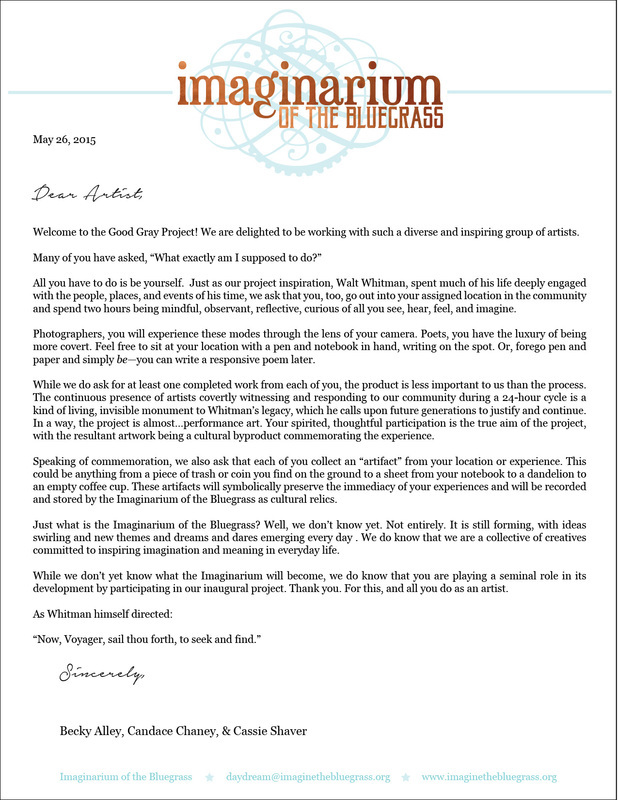 As the first project produced by the artist collaborative Imaginarium of the Bluegrass. 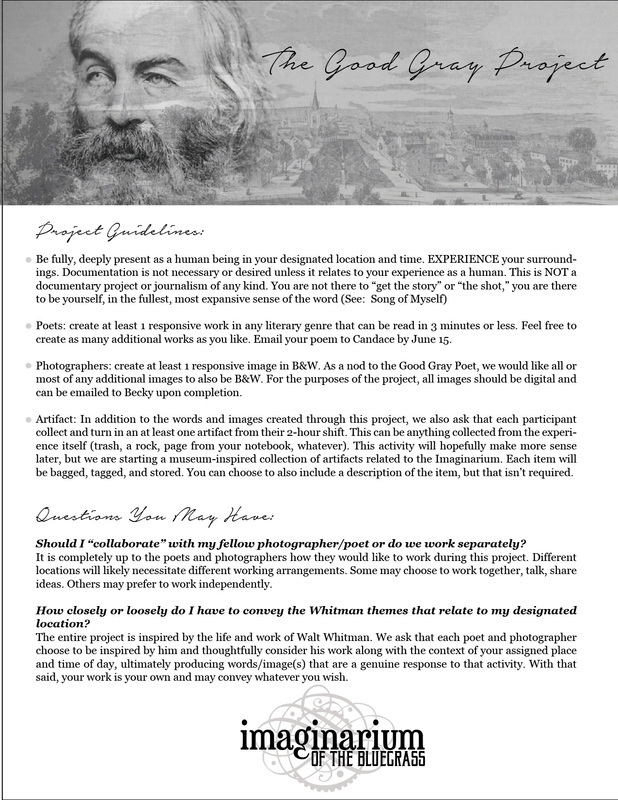 Designing for this project was an interesting twist between old world and new world with an emphasis on black and white photography. 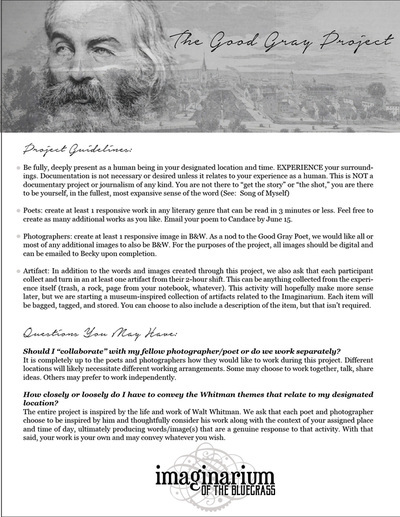 Artist Information Packet : Click to view pages.